Lumenera Corporation today announces that a North American commercial horticulture monitoring system provider has signed an agreement for the Lumenera LtX45R series cameras to be used in their pilot project for the inspection of greenhouse cannabis. Lumenera is an innovative leader in imaging technology and this allows us to have impact in even the most recent emerging industries like commercial cannabis production. Lumenera Corporation, a leading manufacturer and developer of high performance digital cameras and custom imaging solutions, today announces that a North American commercial horticulture monitoring system provider has signed an agreement for the Lumenera LtX45R series cameras to be used in their pilot project for the inspection of greenhouse cannabis. These cameras will be used to gather high resolution plant images that will be combined with other environment data collected from within a commercial greenhouse. This will provide growers with a very detailed understanding of the progress of their crops, allowing proactive crop management and leading to higher yields. 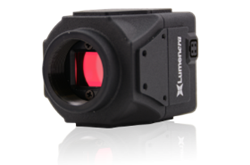 The Lumenera LtX45R series cameras are based on the Sony® Pregius™ global shutter CMOS sensors and are available in 3, 5, 9, and 12 megapixel resolutions. They provide CCD-like performance from a CMOS sensor with increased frame rates and crisp, clear distortion-free images. About Lumenera: Lumenera Corporation, a division of Roper Technologies Inc., is headquartered in Ottawa, Canada, and is a leading developer and manufacturer of high performance digital cameras and custom imaging solutions. Lumenera imaging solutions provide a unique combination of speed, resolution, and sensitivity to meet the most demanding digital imaging requirements, and are used worldwide in a wide range of industrial and scientific applications. For additional information about Lumenera, please visit http://www.lumenera.com or call 613-736-4077. To receive Lumenera press releases as they are issued, contact us at marketing(at)lumenera.com.